Posted On December 15, 2014 by Team iCynosure. A few days ago I drove to the airport to pick hubby, who was returning from a trip abroad. With the little one in tow, driving was a menace and every turn seemed accident prone. By the time I parked, I didn’t know if I was more stressed or relieved. However, all my stress evaporated the moment I saw a familiar tall man stride towards me, with quite a few Duty-Free bags. Back in the car on the way back home I took the steering wheel with renewed vigour in a double excitement of hubby being back and in anticipation of the gifts that were waiting to be unveiled. In my enthusiasm to get home, sooner than later, I accelerated more than the desired speed limit and almost brushed a rider; when I cautioned myself. A sideways glance assured me that a safety disclosure was about to begin. But to my surprise when hubby began speaking I just couldn’t stop laughing. 6. Charitably convince the young and not so young not to drive when they are not in a fitting condition. 8. Bring the motorists and the victims together, so that they can undergo an experience of forgiveness. 10. Feel responsible towards others." "So you believe in these? ", I asked. "A few of them do make sense", he said. Perfect every aspect of the driving skill through a systematic approach in a learning school. Train with a trainer as much as you can, gaining a much-needed experience and overcoming hurdles as directed. Complete the driving test as per the standard norms and continue to drive carefully. "You go next", he said. As a motorist, make sure you know all about your car. It is most appropriate to know the strengths and weaknesses of the vehicle; ensuring not to be pushing it too much unnecessary. Just like human beings, machines to have their limitations. We started a kind of getting one over the other. So he went next. The next point he looked straight at me and said with a lazy smirk on his face. Look around as much as possible while driving. Keep your focus not only on the road ahead but also make sure you look regularly in the side-view and front-view mirrors. Also never drive in the blind spot of another vehicle, stay in line, don't cut lanes and be visible always. Whether it is changing lanes, taking a turn or making a stop; always use the correct signals to alert the other motorists. A wrong signal could be misleading as well as extremely dangerous not only to others but also to oneself. Use the horn and flash lights as a form of a signal as and when appropriate. Do not overdo both as it could lead to serious issues. Don’t lean into the car right in front of you. Stay at a decent distance behind the car ahead keeping some free space as that is the only space which allows you to control and direct your car a bit different if/when needed. While driving make sure you speed and overtake at the right time and as quickly as possible. It is a sign of a good driver who accelerates and attempts to overtake in one shot in minimum time to clear the road of ongoing traffic. Remember speed is to thrill and not kill, speed only at mentioned limits on the roads and that too with caution. Not everyone on the road is as careful as you wish they would be. With things happening in fractions of a second, your concentration is the cynosure of your driving skills. Your complete concentration will ensure you mark every small movement on the road and react accordingly. And one important rule for being responsible is to do right - Don't drink and drive, dont talk on the phone when you drive, wear your seatbelt, carry breakdown repair gear, insure the vehicle, and keep vigilant. When another diver gives the wrong signal, or cuts the lane or is over speeding; let them go. Trying to teach someone a lesson may be fatal to your own being. Similarly, if someone does right by you, acknowledge with a smile or a nod and move along. Even the best and most careful of drivers are harmed due to-ill maintained cars. Ensure your car is serviced regularly and its health is well maintained. Follow a comprehensive list of checks and replacements time and again before you take the car out of the garage. Driving is a fun activity when the rules are followed. So switch on the air-conditioning, play some music and make the most of your time behind the wheel. Wow, this is really cool, I thought to myself when I saw my husband secretly browsing through the Nissan Safety Driving Forum that promotes safe driving activities to achieve a safer India, one city at a time via the Safety Begins With Me initiative. Reading through I was pretty fascinated with the program that began in 2012, when it covered New Delhi, Mumbai and Chennai and now expanded to several additional cities across India. This year, NSDF aims to reach 8 new cities of Chandigarh, Jalandhar, Jaipur, Vadodara, Nagpur, Chennai, Mangalore and Kochi. The reach that NSDF has achieved over the last couple of years is phenomenally reaching over 2 lakh citizens. The commitment to promoting safe driving behaviour in India is sure noteworthy. With an impressive growth of 126% in normal driving safety of wearing seat belts, NSDF has also branched out into conducting live simulated experiences to understand how safety features function through a simulated car crash. A 360-degree overturn highlights the use of seat belts, while sessions on road safety emphasis road etiquette to stay safe. 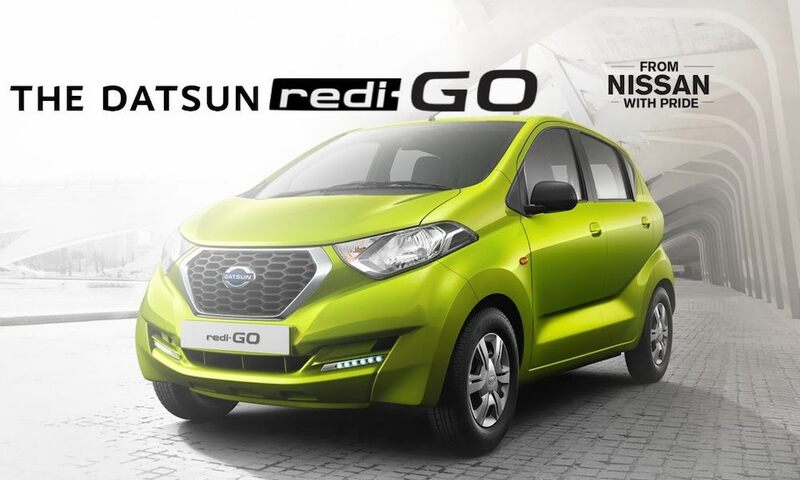 Nissan seeks to support reducing fatalities and injuries caused by traffic accidents, and NSDF represents the company's commitment to contributing to young, vibrant and mobile India. So, participate in the Safety Driving Initiative wherever you are and make India accident free.